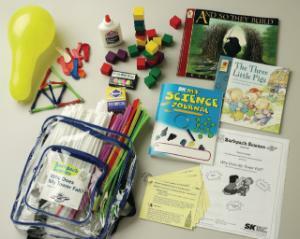 Backpack Science is an innovative, integrated learning tool that uses inquiry-based activities to build links between science, math and language arts. 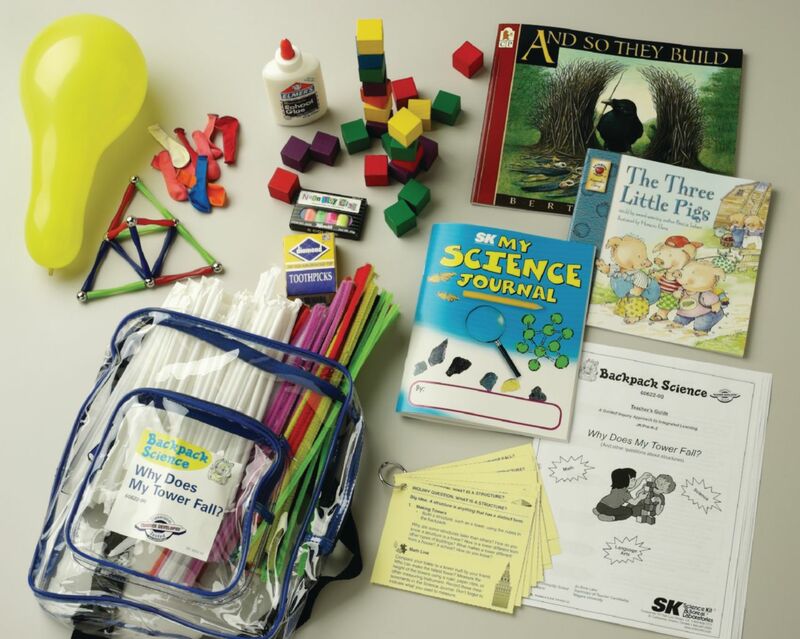 Students will love using the colorful gizmos contained in this clear plastic backpack for hands-on explorations of different types of shapes, structures and building materials. There are 4 lesson plans provided.